Supporting you while on your journey towards a better you is our priority! Here at Success Weightloss in Albuquerque we establish trust and confidence by being there every step of the way! Not only with the HCG Diet program support but also with encouragement and emotional support. Our staff understands that you are trusting us with your goals, so we do whatever we can to make you comfortable and answer any questions or concerns you may have. Generally speaking, weight loss occurs when we utilize our fat reserves for energy! The primary goal of any effective weight loss program is to lose your fat and protect your muscle mass! Muscle retention is essential if you wish to maintain strength. It helps promote good health, supports an active lifestyle, and actually burns more calories than fat. as such, preserving your muscle mass is critical if you intend to keep off the weight you lost! Our Pharmaceutical HCG and customized diet program work together to help you lose the fat and protect valuable muscle mass. Back in the 50’s Dr. ATW Simeons devised a brilliant weight loss program behind that very premise. 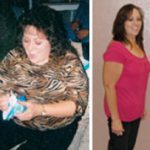 Dr. Simeons wanted to harness the power of this magnificent hormone and utilize it to accelerate weight loss; but he wanted to do it safely. Dr. Simeons knew that pregnant women and their fetus experienced HCG at extremely high levels. HCG appeared to create beneficial responses within the body, and because they were an essential component in the reproductive process; he envisioned that HCG had to be safe! Simeons witnessed the “Metabolic Metamorphosis” first hand, and noted that excess fat stores were being rapidly converted into essential nutrients. As a result, Dr. Simeons began administering HCG to his clients in combination with a specialized 500 calorie diet. 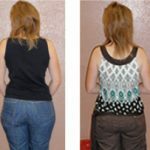 He found that his technique delivered rapid weight loss, and that his patients were experiencing remarkable results. 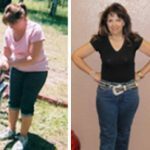 The visionary protocol Dr. Simeons pioneered fifty years ago, has been adapted and improved upon by Success Weightloss Systems Inc. We utilize a customized diet that incorporates higher calories, beneficial proteins, along with fruits and vegetables that are carefully aligned to help nourish your system. Additionally, we utilize various homeopathic supplements to help address nutritional deficits that impact weight loss and optimal health.